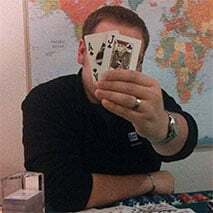 Colin here, Founder of Blackjack Apprenticeship. It’s a time of great change in the world of blackjack with plenty of financial opportunity as a card counter. Our mission is to help you push past the boundaries of what you think blackjack and gambling is and make it possible to create the life you’ve always wanted. We believe apprenticeship is key. 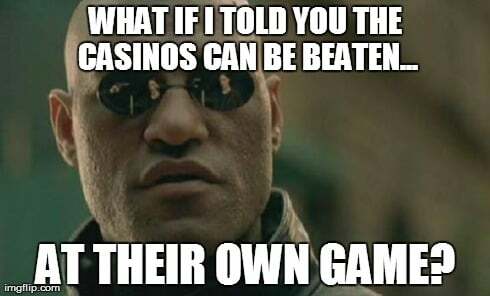 If you are like us, you’ve realized that a successful card counter isn’t someone who simply reads a book, then walks into a casino as a professional blackjack player. From my time as a professional card counter and running a multi-million dollar blackjack team, I’ve come to understand that becoming a successful card counter requires the right information, training, and support. The BJA Pros and I have put in our time beating blackjack – taking millions from the casinos’ coffers – but we want to do something bigger by empowering you, along with an entire community of aspiring card counters and advantage players. 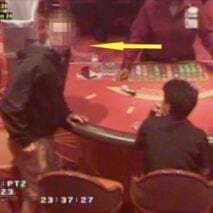 The majority of gamblers buy into the casinos’ lies and advertising, hoping against the odds for a get-rich-quick scheme. If you’re here, it means you are unwilling to be apart of the majority. It’s more than luck that you are here. You are part of the 0.01% that are willing to think differently, research, work smarter, and seek to use the odds to your advantage to beat casinos for profit… all that to say – you’re in the right place. Here’s a link to our membership benefits. Our proven model has allowed our members to collectively take many millions from casinos. We encourage you to research other training solutions if you want. We are confident that you’ll find Blackjack Apprenticeship to have the absolute best (and most proven) training, and largest repository of card counting resources anywhere. 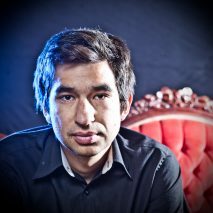 Colin is the founder of Blackjack Apprenticeship. Colin has been counting cards for over 15 years, and ran a multi-million dollar blackjack team. You may have seen his team featured in the documentary Holy Rollers: The True Story of Card Counting Christians, and has been covered by New York Times, CNN, and The Colbert Report. For a super in-depth interview with Colin, check out this podcast episode from the Spinning Logic Podcast. 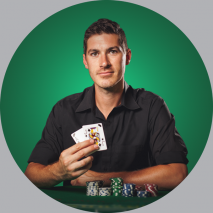 Joe748 is a guest Professional, and one of our most successful Apprentice Membership graduates, having made over $1M from blackjack alone – over 100 times his starting amount. Joe748 is a regular contributor to the forum and at our live “Blackjack Bootcamps,” Joe748 is both an amazing card counter and an awesome person. To read more about his remarkable story, do yourself a favor and read this interview with him. 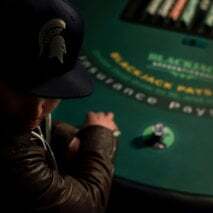 Spartan is a full-time blackjack player and staff professional of Blackjack Apprenticeship. 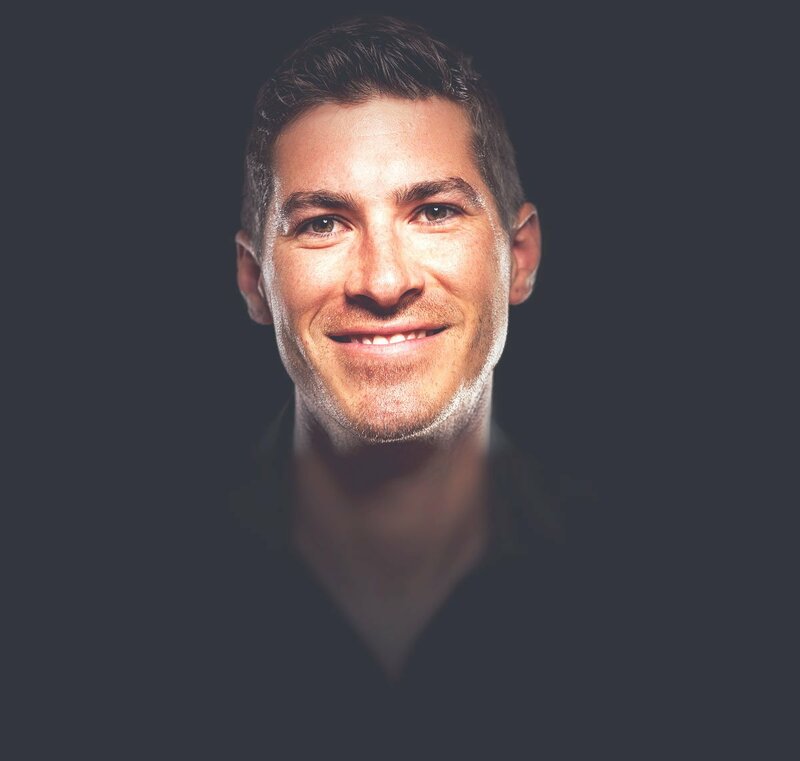 He’s managed multiple iterations of teams with LeviMich and invested in and developed many players outside of the team with great success. Spartan has aligned with the values and mission of Blackjack Apprenticeship and is strongly committed to evaluating and perfecting the skills of future Advantage Players through its Bootcamps and Private Consultations. You can learn more about his adventures through the forum and podcasts available here. JCnote is a staff Professional. In addition to being a full-time Advantaged Player, JCnote helps moderate our exclusive Members’ Forum, and has proven to be an invaluable resource for our aspiring members. We encourage our members to listen closely to everything he says, he has years of sage wisdom to learn from. Ben co-founded Blackjack Apprenticeship with Colin (and a 3rd friend) in 2008. 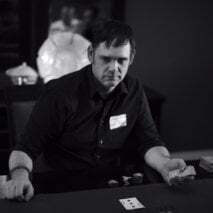 Ben also co-managed “The Church Team,” with Colin, and was instrumental in the vision behind both the blackjack team and Blackjack Apprenticeship. Though Ben has moved on to other projects, he is still a part of much of the DNA (and videos) of Blackjack Apprenticeship. This is why we created our our cornerstone product, The Card Counting Video Course. If you’re serious about becoming a professional card counter, this is where you should start. From there you should connect with other card counters to learn from them and hear stories of people who are beating casinos and winning money right now. People learn in different ways. That’s why we have apps, podcasts, interviews, emails, e-books, videos, software, charts, and in person Blackjack Bootcamps just to name a few things.